I started this blog all excited about it, I had intended to put lots and lots of stuff on it. As it turns out I didn’t bother doing anything with it at all and so I haven’t made a single post in nearly a year. That’s not to say that I haven’t been doing anything at all, I just haven’t been doing very much. I am going to make a commitment to improving everything and following through on it. In my next post I will detail my plans. 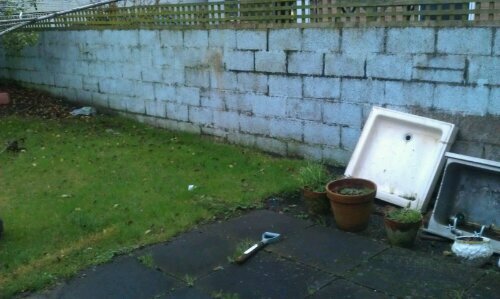 I decided last year that I would start to grow my own vegetables, however I never did get around to it. So this year I have decided to grab the bull by the horns and get stuck in. First thing I did was read lots of books and magazines, it has helped a little but I still don’t really know what I’m doing. I think that basically I just need to do it and learn from experience. 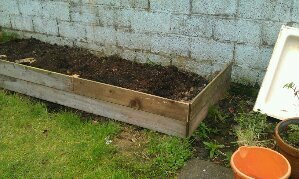 The second thing I did was start to put together a raised bed in the garden, I have included a few photos to show progress. 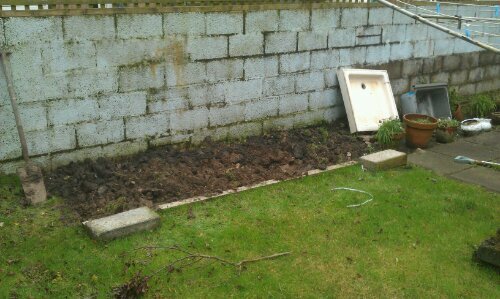 At this point all I have done is dig the ground over and left it to sit, I believe that if the weather gets to it that it will get rid of some weeds and prepare the ground for planting. 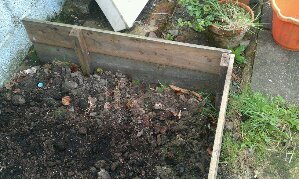 I still need to put sides on and get more compost, then I’ll be good to go.